Have you all seen the new season six promo? Can we say, awesome? Already looking better than season five. What's that? I just gave away that I didn't much like season five? OH WELL. Today I'm going to rank the finale episodes of the last five seasons. This is a tough one. The premieres were much easier to rank! I even left off numbers in the graphics so I could switch them around if I was feeling unsure at the last minute! Or does that just make me indecisive? Whatever! I AM sure about my top two, so there! This one may have some dissent among readers, I'm not sure. I suppose the poll will tell me the answer to that! And (hint, hint) comments! Just looking at that screencap of Sam/Jared makes me want to reconsider putting this one last. Beautiful intro shots of both boys in this finale, actually. But! It felt like a lot of waiting around, not a lot of action. I mean, that was basically all of Dean's plot for a good 3/4 of the episode, waiting in the waiting room. Honestly this is still a good episode, so I'm not really faulting it, I just find I would rather watch one of the other finales, if given a choice. That's basically what I went on here, gut decisions. I can certainly appreciate if this is someone's favorite finale, but at this point the story was starting to veer into season five... and yeah. Season five. Sigh. But, what's this, you ask? Did you not just sigh at the mere idea of season five? Okay, yes! I am full of contradictions. But there was something so emotionally investing about this episode, that I find I would rather watch it than the season four finale. This could change over time, of course. I am changeable and fickle. In the end, I think this finale didn't necessarily make up for a lot of the choppiness of season five, but it did end it on a better note, though I think I would've preferred if some of the deaths had actually been permanent, seeing as not a one of them seem to be (except maybe for Adam... but knowing this show's propensity for bringing people back, we can't completely count him out). 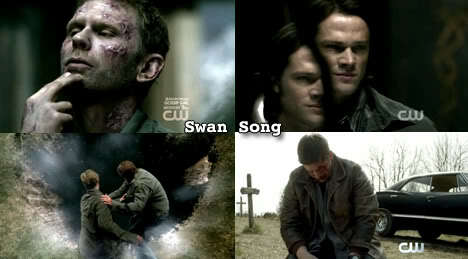 I really liked the ending when Dean shows up, and all the memories flooding into Sam. And I think it has set up season six to be rather interesting. So... yes. I'm still not sure, but for now, it's ranked number four. Apparently a lot of people were surprised that they actually sent Dean to Hell after all. I wasn't. I would've felt a bit betrayed if they had come up with some last second deus ex machina to save everything. Anyway, this was a strong finale. Really the only parts I did not like were any of the ones featuring creepy child Lillith. I find I fast forward through them any time I watch this episode. Necessary to the plot, I suppose, but it's just one of those things. 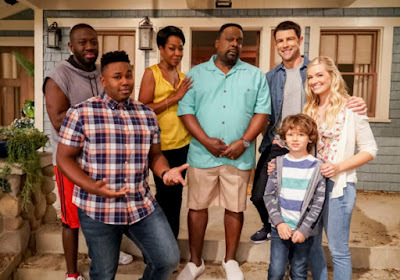 What is really great about this finale is the last, oh, 15 to 20 minutes, once the boys have infiltrated the house and everything is coming literally right down to the last second. The Hellhounds tear Dean to shreds while Sam has to watch helplessly, pinned against the wall by Lillith, who has taken over Ruby's body. She tries to kill Sam with her white light hand, but isn't able to, so vacates the joint and leaves Sam to weep manly tears over his dead brother that he was unable to save. And then, we got the very cool descending into Dean's eye straight down into Hell. What a way to end the season! Now this was probably the most cliffhanger ending to any of the seasons we have ever had. Perhaps that is doubled by the fact that it wasn't clear the show would be coming back at all when the finale first aired. Of course, once you find out that it is coming back, you know the boys are both going to survive, but still! Still. What really set this episode over the top was the whole part near the end in the cabin, when we find out that the YED has taken over John's body. He torments the boys a while, then starts making Dean bleed and bleed and bleed while Sam is, yet again, pushed against the wall by a demon's powers! This seems to be a trend! How did I not notice the similarity to the season three finale before?! I'm usually so observant. This is ridiculous. Anyway. This episode really put a feather in the cap of season one, which took a while to get going. And without this episode, we would not have had the amazing In My Time of Dying that followed. And we all know how awesome that episode is. Still, the best finale of them all has to be All Hell Breaks Loose. While technically it was a two-parter, I think we can all agree that the second half was better than the first. All season Dean had been dealing with the death of his father, and now he is faced with the death of his brother too, leaving him virtually alone in the world. Unable to fathom the idea of living without any of his family, he sets into course a whole host of events by going to make a deal with a crossroads demon - his soul for Sam's life. This episode was also filled with the action of the devil's gate stuff, and the boys coming face to face with Azazel, who had set this whole thing in motion. 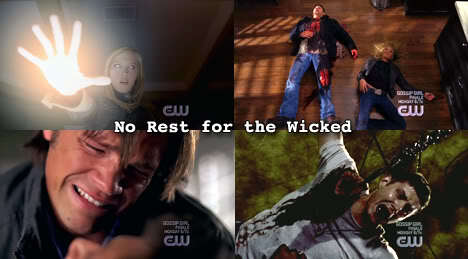 Dean gets to kill him with the Colt, while John's ghost escapes from Hell to vanish to, we assume, Heaven. It was just a great episode, period. And that's all I have to say about that. Next week will be my final two lists before season six begins and I go back to recapping. I'll be ranking the seasons and going over my top 10 overall episodes. Get excited.